Explore the spectacular South of France in 5 star luxury. 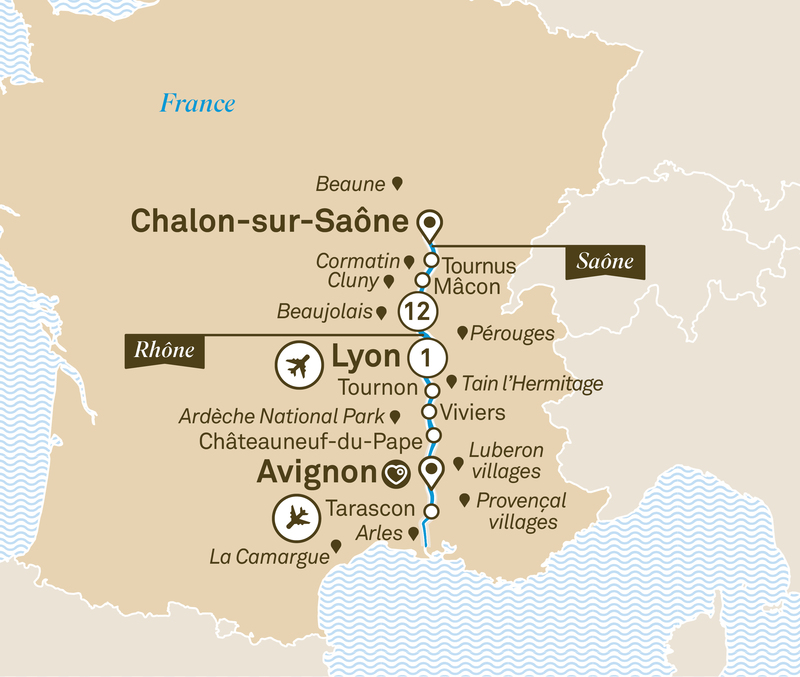 Shop with a chef in Avignon & enjoy a tour through Lyon before boarding your Scenic Space-Ship. There are no overnight sailings on this itinerary. There’s no need, with so many beautiful sites in such marvellous proximity. Celebrate the start of your holiday at this evening’s welcome reception at your hotel in Lyon. This morning join your local guide for a tour through the gastronomic capital of France, see the Old Town and Notre Dame Basilica before visiting a renowned Silk Atelier to learn about Lyons century’s old tradition of Silk painting. After enjoy time at leisure before transferring to Chalon-sur-Saône where your friendly crew await to welcome you on board your luxurious Scenic Space-Ship.